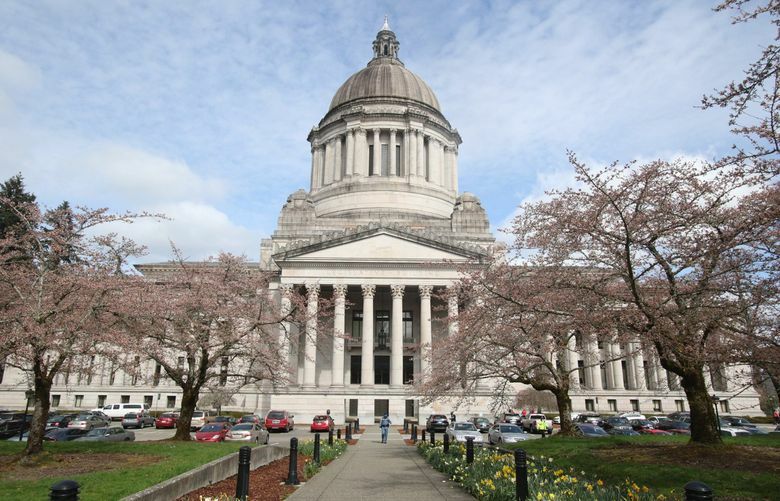 As the Washington Legislature marked the halfway point of its first special session this year, most lawmakers were nowhere to be found in Olympia. Teachers singing about McCleary on the Capitol steps. Children marching with papier-mâché dandelions. And an elementary school student howling like a wolf for Gov. Jay Inslee. As the Washington Legislature marked the halfway point of this year’s first special session, those were some of the scenes in Olympia this week. But state lawmakers? You know, the elected officials under Supreme Court order to fix Washington’s broken school-finance system? Most of the gang of 147 were nowhere in sight at the Capitol. And there’s no sign they will reach a compromise on the 2017-19 state budget — which must include a way to fully fund K-12 schools — without having to enter another overtime session. No, that wasn’t a young girl yawning during one of the governor’s bill-signing ceremonies late last week. Inslee on Friday actually coaxed the Hazel Wolf Elementary student to howl like her Seattle school’s namesake, a famous environmental activist who had often mimicked wolves at meetings, according to The Spokesman-Review. While a bit of political theater, the ceremony actually helped break up the monotony of the Legislature’s special session: “What little legislation that may be going on happens behind closed doors,” observed Spokesman-Review reporter Jim Camden. On Monday, the governor told The Associated Press that a bipartisan group of lawmakers have held “useful discussions” on the K-12 part of the state budget but have not made “substantial progress” on how to pay for any of it. If no agreement is reached by June 30, the state could enter a partial government shutdown. Meanwhile, superintendents for some school districts west of Seattle alarmed some teachers with a letter they sent to lawmakers asking for limits on collective bargaining with teachers unions. As The Seattle Times detailed earlier this year, school districts have increasingly relied on an obscure provision in teacher contracts to help cover what the state doesn’t pay for teacher salaries. It’s unclear whether the Legislature will try to rein in that practice. But after union leaders quoted in the Kitsap Sun decried any erosion of local bargaining rights, at least one Kitsap County superintendent attempted to reverse course on the issue. On Tuesday, The News Tribune noted the empty hallways in Olympia but reporter Melissa Santos did speak to House Majority Leader Pat Sullivan, D-Covington. He’s one of eight lawmakers meeting regularly to hammer out a McCleary compromise. And he told Santos that “there’s no reason” for other legislators — with regular lives and jobs back home — to remain at the Capitol until they have a budget agreement to debate and vote on. Still, that’s not stopping teachers from continuing their two-week “Occupy Olympia” movement to pressure lawmakers to find a compromise. “On some days the number of teachers have outnumbered the number of state lawmakers,” reported the public-radio Northwest News Network. The current special session ends May 23.